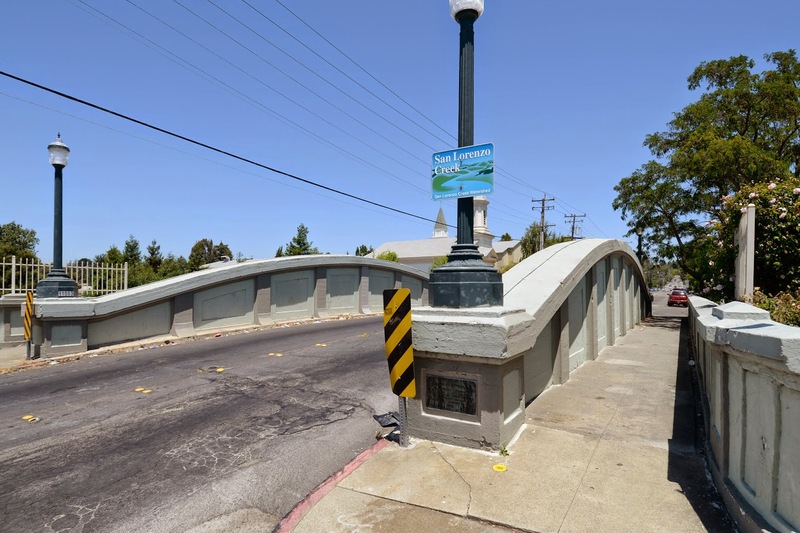 Just south of the 580-238 Interchange in the town of Hayward (in the Castro Valley) is a concrete through arch bridge over the San Lorenzo River. The Grove Way Bridge (33C0205) was designed by P.A. Haviland and built by Thomas B. Russell in 1915. 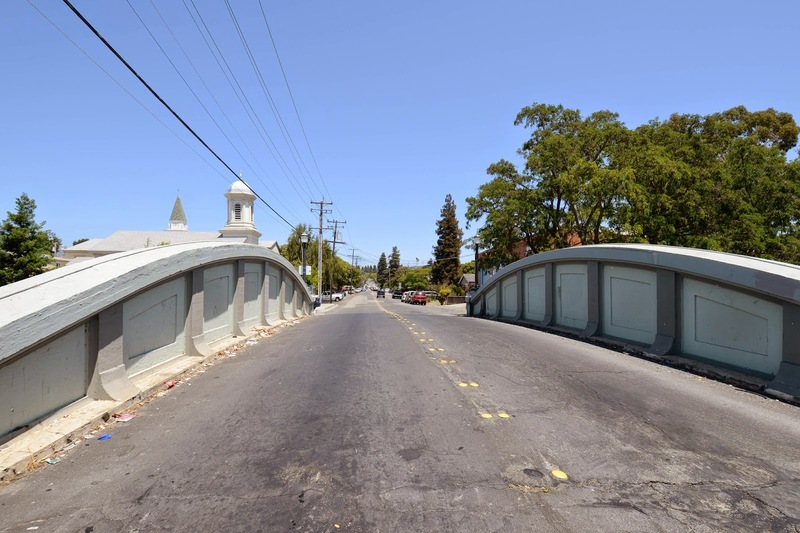 This bridge is eligible for the National Register of Historic Places. 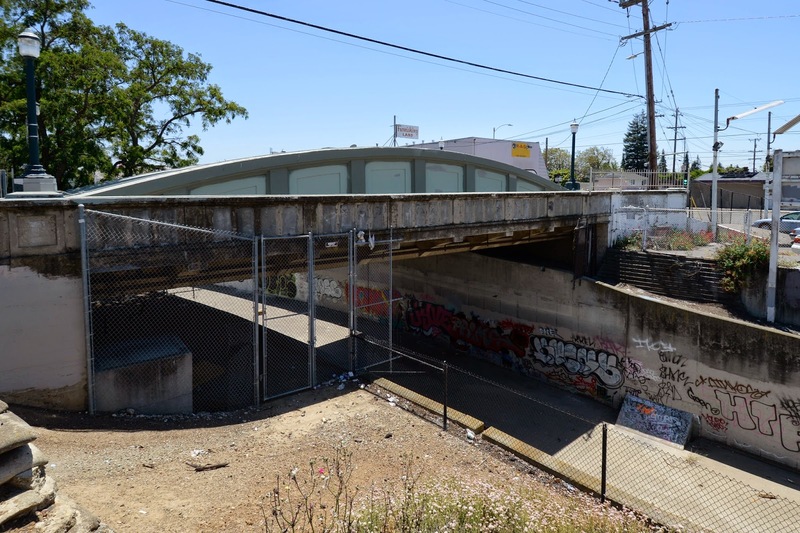 The Grove Street Bridge is a 63 ft long single span structure with a 25 ft wide deck that squeezes in two traffic lanes, two arch ribs, and a sidewalk. The arches have thin concrete ribs that flatten out at the ends, which doesn't seem very effective for arching and so I imagine these members act more like girders. Alameda County, California Bridges: Grove Way Bridge across San Lorenzo Creek by Mark Yashinsky is licensed under a Creative Commons Attribution-NonCommercial-NoDerivatives 4.0 International License.